Read my whole review of this entry in Kino’s ongoing Studio Classics series, out last month on Blu-ray, at Slant Magazine. 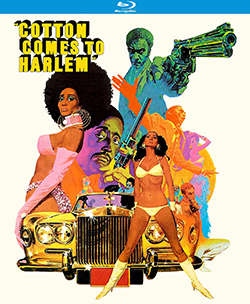 This entry was posted in film, movie reviews and tagged blu-ray, calvin lockhart, chester himes, cleavon little, cotton comes to harlem, godfrey cambridge, judy pace, kino lorber, ossie davis, raymond st. jacques, redd foxx, slant magazine. Bookmark the permalink.